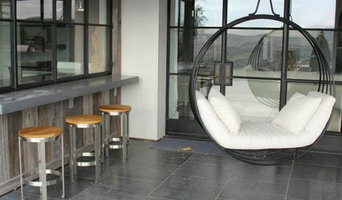 Hayley Bridges Design is a boutique interior design company that operates out of Santa Barbara, California. We accommodate a range of project types whether it be new build, remodel, or redesign. We pride ourselves in approaching each project with a fresh eye and enjoy using our client's vision as the road map through the design process. Christine Craig, principal and founder of Designology Studio, launched her interior design company in 2003. 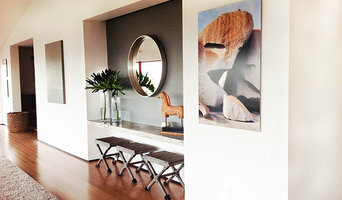 Servicing Santa Barbara & Ventura Counties, she specializes in residential, commercial, model home and interior styling. She has the expertise to create a wide variety of interior spaces ranging from traditional to modern. With a family background in construction, Christine strives to create a design that is a collaboration of architecture and interior design. Her knowledge in areas outside of interior design aides in developing a great working relationship with others in the design trade, thus making the project run more efficiently. Designology has appeared in Architectural Digest & bon appetit magazines and has been listed in Santa Barbara Design & Style magazine. Christine holds a degree in interior design and is a licensed and insured professional. As a member of the National Kitchen & Bathroom Association (NKBA), she strives to stay knowledgeable and continually grow within the industry. Designology creates designs that will stand the test of time and exceed clients' expectations. One of a kind storage, work surface & home improvement solutions. 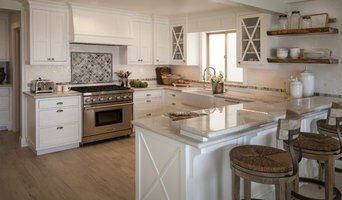 Offering innovative and inspired design throughout the Southern California region, Keeping Interiors is dedicated to offering a wide variety of design services that enhances the home or business. With over twenty five years of professional and award-winning project consulting, it is Keeping Interior’s mission to give our clients an experience they can enjoy and an end result that speaks to their vision and lifestyle. We are confident in our ability to provide the best in design and renovation solutions with the most qualified tradespeople we have collaboratively worked with for many years. 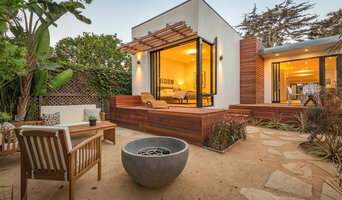 Whether you’re thinking about a timeless and sophisticated remodel or an urban-modern new construction; even a fresh and funky addition: Keeping has you covered! “Truly great design should be clean, classic, straightforward—and nothing less than fabulous.” – JRS JRS ID helps clients create unique, stylish, and ultra-livable designs that elevate their everyday lifestyle. With a professional, trustworthy reputation and a keen eye for relaxed, natural California-inspired interiors, Risko Smith creates environments that are functional, beautiful, sustainable, and a true pleasure to live, work, and play in. Her travels to New York, Mexico, Europe and Africa continue to influence her design vocabulary and vision for unique styles, trends, and products for residential and commercial interiors. The JRS ID studio is located in a historic Santa Barbara garden courtyard, where the team is often found meeting with clients and vendors. Otherwise you can find Risko Smith with her two kids and dog, Rabbit, refueling at Handlebar Coffee, oftentimes sketching more new world design concepts. Jessica is a LEED Accredited Professional and a longtime ASID Professional Member. Debra Lynn Henno Design Is an Award Winning Full Service Interior Design Firm with over 20 years of experience. Based in Santa Barbara, we work throughout the Central Coast and beyond, including Los Angeles and Hawaii. Our dedicated team with differing areas of expertise, provide Interior Design services for Residential, Commercial and Hospitality projects. Honeycomb Home Design is a full service Interior Design Studio. We have a simple mission: creating timeless interiors with a modern edge. We possess a strong understanding of design and culture to create spaces based on our clients’ passions and inspirations. No project is too big or too small – we have experience with both new construction and remodels but love designing kitchens and baths the most! We specialize in space planning, conceptual renderings, floor plan development, project management, and much more! We also offer State of the Art 3D Rendering so you can visually stand in your newly remodeled home! Are you ready to create your Dream Hive? Let's chat! The design investment in your home should stand the proof of time. I prefer clean elegance, comfortable living and quality interiors with an outdoor influence. Client profiles have varied through the years in both demographics and personal style. Since 1993 I've had the privilege of working with many wonderful clients, implementing their own individual design needs and turning their dreams into reality. It's more of a passion of mine which I find so rewarding in seeing the completion of a project with dramatic results. No two projects are alike. The collaboration between myself and my clients insures every detail is discussed. Having worked on numerous remodels and custom homes I have found that starting with a complete specification packet saves both time and money for all whom are involved including contractors and architects. Allow me to help you create the home of your dreams. What are the benefits of working with custom furniture makers in Mission Canyon, CA? Whether you’re looking for a custom couch or a new set of custom chairs, it can be difficult trying to find something that matches the rest of your decor and that fits into your space. But when you’re using the furniture in your home almost every day, it’s important that it works and brings you joy. Outfitting your home with custom made furniture ensures that your interior spaces work with your lifestyle and tastes. You’ll be able to specify just how big or small you want a piece to be so that it fits right into your home. You’ll also be able to match wood finishes to the rest of your furniture and pick out upholstery colors or patterns that reflect your style. While working with local Mission Canyon, CA furniture makers might seem like a big project, you’re likely to end up with a high-quality piece perfectly suited to your lifestyle and meant to last for years to come. Even if you like the sound of having furniture made specifically for your home, you may be wondering how to even begin. First, you should take some measurements of your space and the other furniture you have. Consider the colors and style of the room and how a new piece might fit in. Many custom home furniture companies in Mission Canyon, CA will be able to give you a choice of different configurations and designs that you can choose from. They may also have pieces that are already made, so you might take some inspiration from those designs. Whether you’re looking for custom wood furniture for your dining room or a custom sofa for the living room, Mission Canyon, CA furniture makers near you will be able to take your ideas and make something lasting out of them.